England’s Justin Rose can unseat world number one, Rory McIlroy, atop of the Race to Dubai money list with a top-two finish in this week’s BMW Masters in Shanghai. With six official events remaining this season Rose arrived in China’s financial capital currently trailing €437,334 behind the Northern Irishman. However for Rose to go ahead of the double Major winning McIlroy, then McIlroy, as the tournaments defending champion, would need to finish outside the top seven on the Lake Malaren Golf Club course. Rose is returning to European Tour competition after capturing last fortnight’s non-Tour Turkish Airlines World Golf Final in Antalya. And the 32-year old world number five, who first won the European money list title in 2007, has thrown the Race to Dubai gauntlet right at the feet of his Ryder Cup winning colleague. “When I won the Order of Merit in 2007 it kind of felt like it happened out of the blue that season,” said Rose. “So for it to happen this year, it would be a lot more meaningful based upon there’s been a lot of hard work that’s gone on between 2007 and now. “I am a lot more aware of why I’m playing well, and a lot more sustainable into the future. “And to be Number One of any tour around the world, especially the European Tour, that’s a huge goal and that would be a huge honour to be honest. Boosting Rose’s goal in capturing a second European No. 1 title in six years is not only a superb PGA Tour winning season, along with a recent success in Turkey, but his efforts in last month’s Ryder Cup. Rose, competing in only his second Ryder Cup, won three of five points including the pivotal Sunday Singles defeat of Phil Mickelson. “I’m still on a high from the Ryder Cup as I went to Turkey and won straightaway,” he said. McIlroy and Rose, who are playing the opening Shanghai round together, will also be competing in next week’s $7m WGC – HSBC Champions event in Shenzhen. 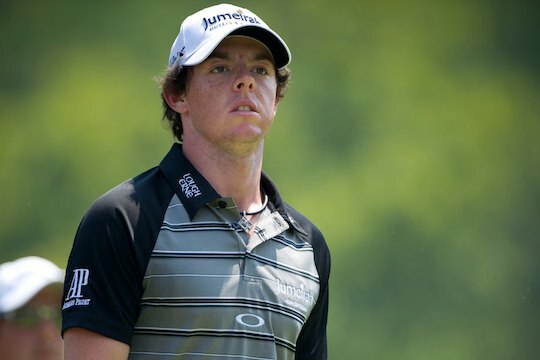 However McIlroy will also have the opportunity to go further ahead of Rose as the Englishman has elected not to contest the back-to-back Barclays Singapore Open or UBS Hong Kong Open titles where McIlroy is entered. The pair will then end their European Tour season at the November 22nd starting DP World Tour Championship in Dubai.